Priyanka Chopra, who is India’s desi girl turned Global icon, has a bevy of projects lined up for herself. She has made a string of appearances on popular American TV shows, starred in the latest Jonas brothers single, and also played a role in Rebel Wilson’s film ‘Isn’t It Romantic?’. She recently also launched her own YouTube series, ‘Just One Thing’. After a flurry of projects she has undertaken, she has reportedly been approached by the Russo brothers for a future project. Joe Russo & Anthony Russo – the Russo brothers – who are directing the fourth film of the Avengers series in the Marvel Universe, made the revelation in a press conference in Mumbai. They are in talks with Priyanka Chopra for an upcoming project, which is yet to be disclosed. 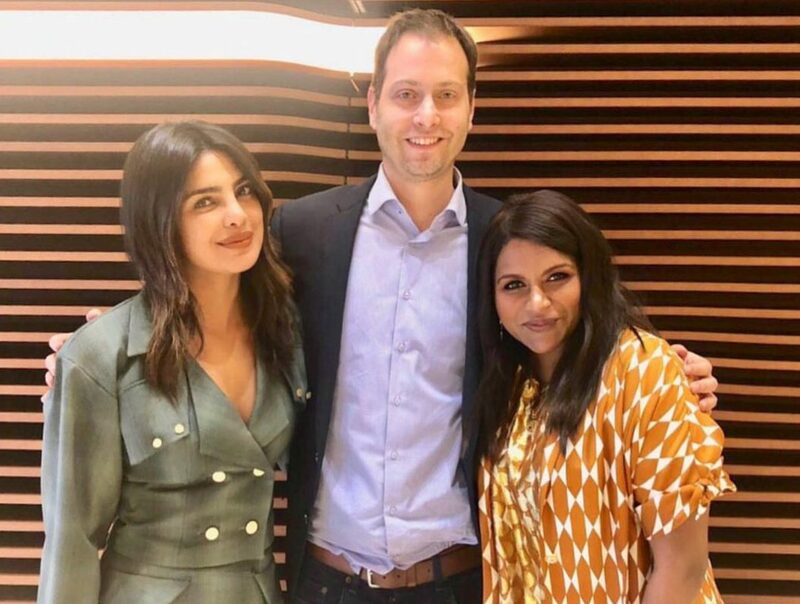 “I’d love to work with Priyanka,” said Joe Russo at the press conference. “I’m smiling only because we’re potentially talking to her about something, I’m just not going to say what yet,” smiled Russo. “India is incredibly important. It’s the fastest growing market in the world for Marvel,” said Russo at the event. The stress and the need to recognize India as one of their top markets stems from the fact that Marvel fans are aplenty in the country. They have seen audiences in India respond to Marvel films the way global audiences would, the reason why they have another India connect with the film! None other than A. R. Rahman himself has been roped in to compose the theme music for Avengers:Endgame in three languages – Hindi, Tamil, & Telugu. Read: Guess What? Marvel’s Next Avengers Film Will Have AR Rahman’s Music! Check out the new international posters for Marvel Studios’ #AvengersEndgame. After Brie Larson starred in Captain Marvel, it wouldn’t be a big surprise to see the Marvel Universe add another female-led project to their kitty! Would Priyanka Chopra be leading the project? Or would she play a supporting role yet again? Well, our guess is only as good as yours!